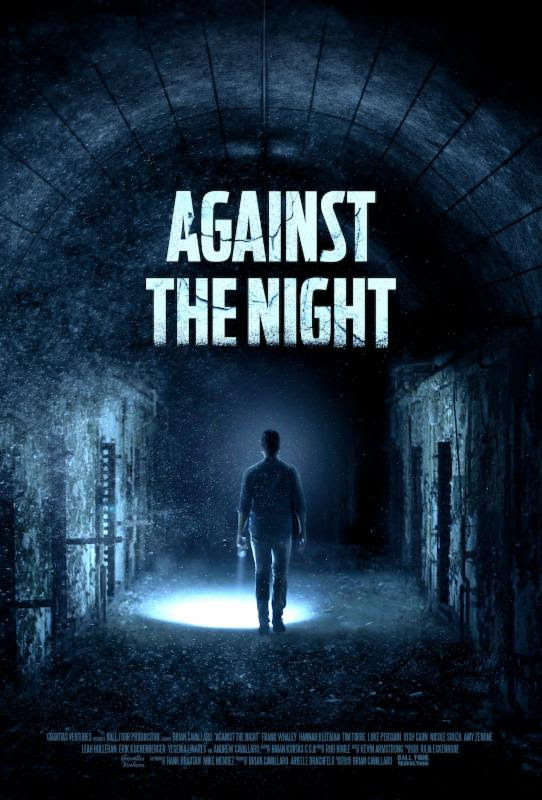 Wrongly billed as a psychological thriller, AGAINST THE NIGHT is actually a film about what is out there and lurks in the dark. Beginning with the lone survivor being interviewed by a police detective (Frank Whaley in a don't blink or you'll miss it cameo) the story flashes back in time to reveal a bunch of friends who leave a party to go wander around a haunted abandoned prison. Of course there really are things that go bump in the night. 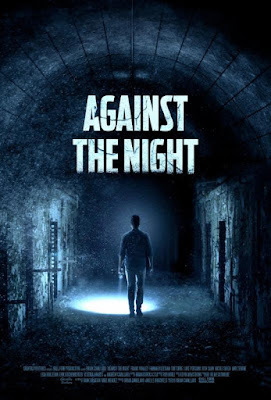 Not the best nor the worst of these films AGAINST THE NIGHT is nothing any horror film fan hasn't seen before a couple dozen times before. Its a story that gives us a bunch of obnoxious young adults who are more snarky than frightened who are then killed off one by one by the monsters wandering the prisons halls. The casts snide aloofness lessens the impact of the film since they never sell anything as being dire. The other problem with the film is simply that everything is lit much too brightly. Darkened hallways suddenly are brightly lit as the cast wanders down them killing the mood.